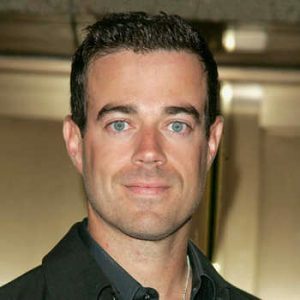 Carson Daly is an American television personality, host, radio personality and producer, who served as a VJ on MTV’s Total Request Live, and a DJ for the Southern California-based radio station 106.7 KROQ-FM. After joining NBC in 2002, he began hosting and producing the late night talk show Last Call with Carson Daly. He began hosting and executive-producing NBC’s reality singing competition The Voice in 2011. Born Carson Jones Daly on June 22, 1973 in Santa Monica, California, USA, to Pattie Daly Caruso and J. D. Daly, he belongs to Irish and English descent. He has a sister Quinn and brother Mark. After graduating from Santa Monica High School in 1991, he attended Loyola Marymount University in Los Angeles but dropped out to pursue a pro golf career. He began his entertainment career at College of the Desert. He has been married to Siri Pinter since 2015. They have three children; a son named Jackson and two daughters named London and Etta. *He was born on June 22, 1973 in Santa Monica, California, USA. *He was a member of the school’s golf team while in high school. *He won a golf scholarship to Loyola Marymount University. *He was once engaged to Tara Reid. Their relationship ended in June 2001. *Follow him on Twitter, Google+, Facebook and Instagram.